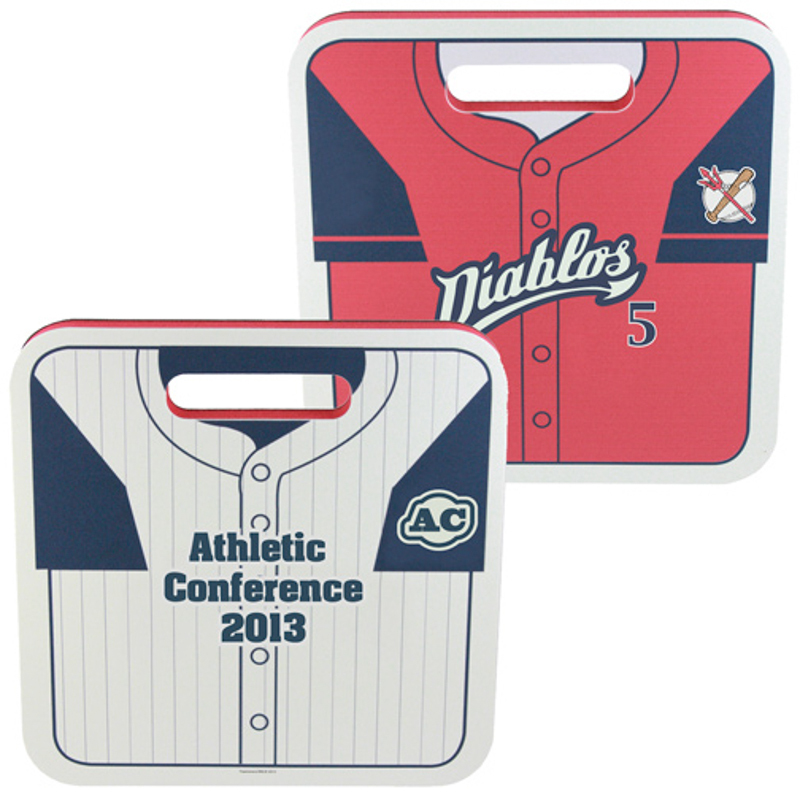 Let parents, friends, alumni and loyal fans show off their team spirit with this foam jersey seat cushion. This 13.5” seat cushion is perfect for those on the go. It features open-cell foam sandwiched between two durable layers of EVA foam. Make sure your customers are provided with all around comfort. This seat cushion offers vibrant color combination possibilities and includes full color digital print. Makes a great giveaway! 13.5" x 13.5" x 1.25"…..Imprint Area: 8" x 10"